ethereal events is an exclusive wedding and event consultancy experienced in planning and creating highly refined events for any occasion. Accomplished in both planning and design, ethereal events has a wealth of knowledge and experience. Long established relationships, working alongside local suppliers, results in a shared vision of exquisite designs and professionally executed events that will be cherished for years to come. Well versed in creating all types of events from small intimate birthday parties to stunning wedding and corporate events on a much larger scale, strong relationships with clients built on creativity, knowledge and trust ensure seamless, well managed and unforgettable occasions. ethereal events was established in 2009 and is expertly run by Georgie Lilwall. 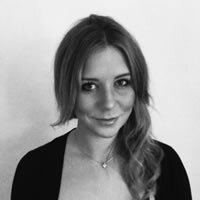 Georgie personally manages all clients and is currently located in Kent, where she has a huge bank of local knowledge, although her skills can still spread her magic further afield if required. She will always meet new clients face to face to establish a sense of the kind of event they are wanting, something that is often difficult to put into words, and therefore emails or texts. Up to date with technology and in touch through many of the latest communication tools, she will manage the event and planning with you as you choose and understands the constraints of todays busy lifestyle whilst also enjoying the opportunity to meet up along the way to discuss progress or make decisions not worthy of a computer! Georgie’s infectious enthusiasm and balance of professional and personal puts clients at ease with what can be an emotional and let’s be honest, sometimes stressful, incredibly important event. Add to that her endless creative ideas, a quest for perfection and a desire to create events not of this world and the result is clearly seen in events that are possibly even better than you could have ever imagined. Georgie has experience in all areas of event planning, just some of them are shared in the gallery. These will give you a feel for what Georgie (and her impeccable taste!) is all about. On hand not only to plan your event but she can often be found as the silent guest overseeing the precise running of things, leaving you to make the most of it. Equally Georgie will remain unoffended should you decide there are elements of your event that you would like to manage independently. Understanding the delicacies and sensitivities that can often come alongside event planning, Georgie executes an honest and trustworthy approach leaving you with complete confidence to be open about your preferences. Georgie is not easily upset by you turning down any of her suggestions and wants you to choose the best solutions for your event, whatever they may be. Little or large you will benefit from the same commitment and professionalism that is second nature to Georgie and Ethereal Events.